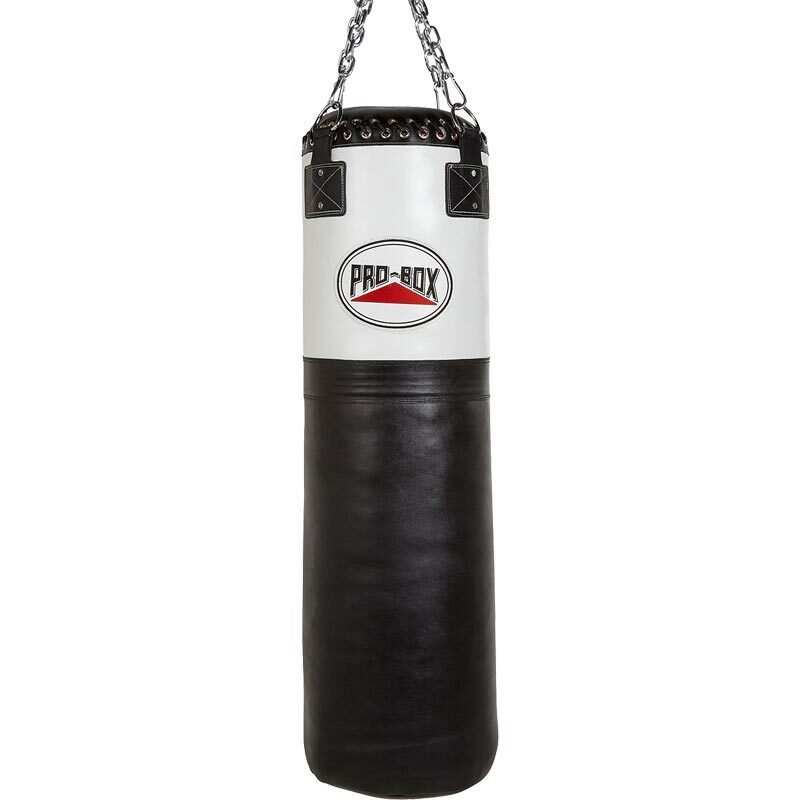 The Pro Box Black/White 4ft Super Heavy Weight Punch Bag is a top professional 4ft bag constructed from quality cow hide leather. Textile filled and machine compressed, this punch bag has been designed and engineered for intense commercial use. (Bag weights can vary depending on type of textile they have been filled with).